I just downloaded the game and I’m trying to continue after I put in my age (25) but when I hit “continue” nothing happens, no screen change, nothing. The sound of the button just keeps going as I tap the button. I’d love to play the game again but that needs to be fixed right away bc I miss playing. Please fix that ASAP. 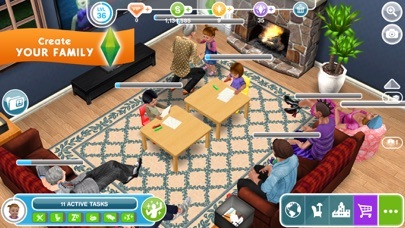 i don't understand why theres not a sims game for mobile that is exactly like actual sims... been waiting years id be willing to pay for it and everything like this isnt sims. you just do what it tells you to do... i dont own a computer and im not gonna buy one just to play actual sims, its upsetting. 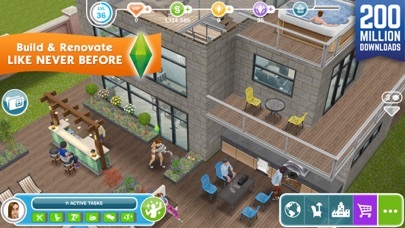 I thought sims mobile would be the actual game.. nope just a copy of this and less freedom. Great game but, when accidentally deleted he game once, it restarted EVERYTHING that I had on the game. I was on level 37, and now I’m on level 6. And I even bought items in the game with my own money! ⚠️⚠️⚠️⚠️⚠️⚠️⚠️⚠️⚠️⚠️⚠️⚠️⚠️⚠️⚠️⚠️I’ve loved this game for YEARS! It has evolved yet stayed classic, it’s my favorite game ever! Although, I never recieve the LPs I try to get . I use the get free lp that’s available on the app, and download a game for some free LP, and it says completed but I don’t see the payment in return!please fix this or come in contact please!!! I adore this game. I have spent an embarrassing amount of hours over the years and spent a bit of real money to get more currency. Some things can be a little expensive, the crafting events can be next to impossible for those who have jobs... but overall these problems are small. The problem I have is the game crashing. The same thing sparks it every time - sending a sim to work. It is not the same sim. 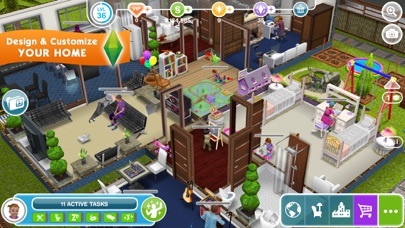 It is not sims going to the same job. Sometimes it’s the 5th sim I send, sometimes the 12th. It causes the game to crash and me to have to restart. That would be a pretty small problem EXCEPT about 20% of the time it resets what every sim is doing. If I was doing a task that takes 24 hours and I was already 18 hours in, I have to start over. Considering how many events are released with strict timelines, this has caused me to fail to get extra items I was working hard to achieve. This has happened over two separate iPads now covering about 3 full iOS updates. I have backed up and uninstalled/reinstalled the game. And yet, 2-3 YEARS later, the problem persists. 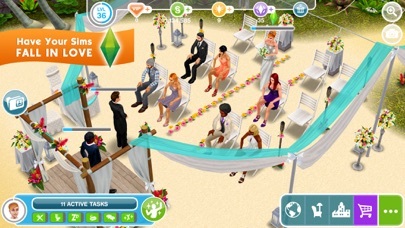 I love the game it’s just why does the pregnancy tasks take so many sims and so much time? Some tasks take 40 sims!!! That’s wayyyy over the maximum of sims you can have in the town! Then you have to have sims keep doing it over and over and over etc. 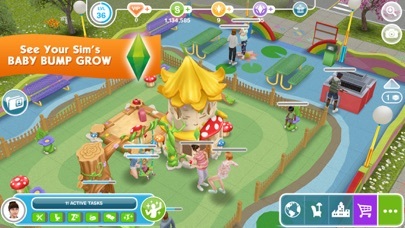 I seriously love it just please changed the number of sims it takes. Please just think about it!!! I am a grandma and I love this game. Love the houses and the hairstyles. My complaint is the ads. In this new version the ads just pop up in the middle of my game. Before I could see an ad if I wanted some points. I play this game in silent mode so I don’t bother anyone while watching TV or while sleeping, etc but with this last version, the ads just pop up all of a sudden and they are very noisy! I have to exit the game immediately so as not to bother anyone in the family. I know that ads might be necessary but, please, find a way to keep them at the same volume as the game.